How to manage your arthritis by becoming an expert patient. Arthritis is one of the most common causes of disability, affecting areas in and around the joints and bringing misery to a staggering 10 million people in the UK and 46 million in the USA. Arthritis occurs not just amongst older age groups but across all age ranges and impacts hugely on the lives of sufferers and their families. 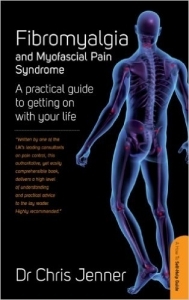 Dr Chris Jenner’s easy to read and highly informative book shows that much of the suffering experienced as a result of this painful condition is unnecessary. 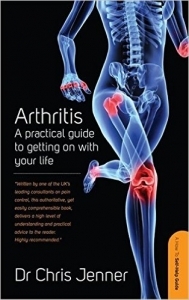 Starting with a no nonsense look at the condition itself, Dr Jenner focuses on the many ways in which arthritis can affect daily life and leads the reader through a variety of options available to sufferers. He shows how the effects of this potentially debilitating disease can be minimised so that quality of life is restored. 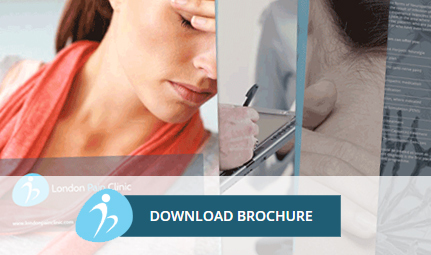 Manage your Fibromyalgia by becoming an expert patient. There really is life after being diagnosed with Fibromyalgia or Myofascial Pain Syndrome…. And yours starts here. The lack of knowledge which surrounds two of the most prevalent illnesses in the world today means that they can often go undiagnosed and untreated for years, during which time both the mental and physical condition of sufferers can deteriorate considerably. With the right care, there is much that can be done to help anyone with either of these conditions to improve their quality of life dramatically. The first step towards that is by doing precisely what you are doing now, educating yourself. Within the covers of this book you will find an easy to read and practical guide to dealing with Fibromyalgia and Myofascial Pain. Dr Chris Jenner takes a straightforward and down to earth look at what these two conditions are about; how they might affect different aspects of your life; what your options are; and how you can get on with your life. 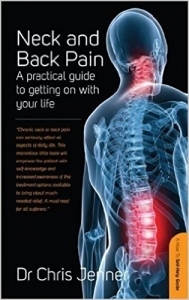 How to manage your neck and back pain by becoming an expert patient. Far from just being the curse of the elderly, neck and back pain affects the majority of the adult population at some point in their lives, as well as huge numbers of children and adolescents. Even in chronic cases, however this does not have to mean the end of life as you once knew it. With the knowledge contained in this book and the right care, you can regain control and live a happy and productive life. In his reassuringly down to earth guide Dr Chris Jenner describes the many causes of neck and back pain in easily understood layman’s terms. He then explores what it means to live with neck and back conditions in a practical sense, sets out your treatment options, and advises you how you can very greatly reduce your levels of pain and increase your quality of life.